Looking for top carpet cleaning service in Teddington? 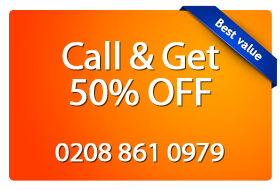 Then call Magic Carpet Cleaning on 020 8861 0979 now. We have a team of dedicated carpet cleaners who are more than qualified to treat all types of carpets and rugs. What’s more we are experienced in stain and spot removal. Our team can even offer you a layer of additional Scotchgard protection. Your home carpet will be treated with the latest steam cleaning equipment and products. When you want your home carpet to be clean and look fresh, get in touch with our local team of professional carpet technicians. Are you embarrassed by the appearance of your carpets? Don’t worry. Our team of Teddington (TW11) carpet cleaning experts are available to assist you. Our company specialises in cleaning all types of carpets and rugs using the state-of-the-art technology and eco-friendly material which will boost the beauty of your house. We provide a full range of carpet cleaning services from dry treatment to hot water extraction. You are the one to choose what you need, how you need and when you need. Our team of experienced and fully vetted carpet cleaners in Teddington (TW11) are available all days a week and work in flexible hours. We are available 24/7 to book your service, provide a free quote or answer questions about our prices and deals. If you’re unsure of which of our services best suits you, just contact Magic Carpet Cleaning in Teddington (TW11) and we’ll be happy to assist you. Our polite back office assistants are available 24/7 to help you. Our team will provide an absolutely free price quote with no obligations, assist with your booking or answer your questions. You can always reach us via our contact form as well. Our support representatives will contact you in short while. Don’t hesitate to take advantage of our reasonable prices and discounts for our steam cleaning services in Teddington.